Congratulations to Brian Frumberg – founder of VentureOut – for his new initiatives: VentureOut Launch, a new long-form incubator program; and the partnership with SparkLabs, the global club for innovators. So the offices of VentureOut have moved to Spark Labs, 25 W 39th St., 14th Floor: “We will be cohosting many of their awesome event series focused on international tech and investing – says Brian -. We have also a new partnership with Invitalia for all of our future Italian programs. We also are looking to launch a 2-month accelerator for Invitalia startups. And, I’m speaking with Eataly about running a corporate innovation program with them. Lots of Italy happening all around VentureOut!”. 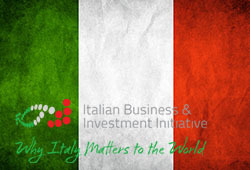 Next Italian program, hosted by Why Italy matters to the World (Italian business & Investment Initiative), will be a “One-week hyper accelerator for Italian Startups” from May 21st to May 26th. You can apply here. Finally: VentureOut is hiring a new program manager (see description and apply here).